It’s finally here: The first-ever ‘Jetsons’-style flying car will soon be in the skies near you. Slovakia-based engineering firm AeroMobil unveiled its flying car prototype back in 2014, but it was not commercially available at that time. The company recently announced that the latest model would be available for preorder this year. This much-awaited model launched at the world’s most exclusive Supercar, Top Marques Monaco show last April 20. However, the “Jetsons’- style car won’t come cheap as each car will cost $1.3 million. According to AeroMobil, the next-generation vehicle is fully functional as it can be both a four-wheeled car and an aircraft. The car also has an added bonus as it is environmentally-friendly because of its hybrid engine. As of now, they are only producing 500 units, and the ultimate goal is to launch a version of the vehicle as part of a shared mobility service in the future. “AeroMobil aims to make personal transportation vastly more efficient and environmentally friendly by allowing significantly faster door-to-door travel for medium-distance trips and in areas with limited or missing road infrastructure,” AeroMobil said in its press release. The flying car was assembled “in compliance with the existing regulatory frameworks for both cars and airplanes,” Meaning that owners would need both a driver’s license and a pilot license to operate the vehicle, The Sun reported. It can transport in flight mode in less than 3 minutes, with a top speed of 100 mph (160 kph) and can drive for 434 miles (700 km). AeroMobil recently raised $3.2 million (3 million euros) after the successful development and testing of the vehicle’s design according to TechCrunch. 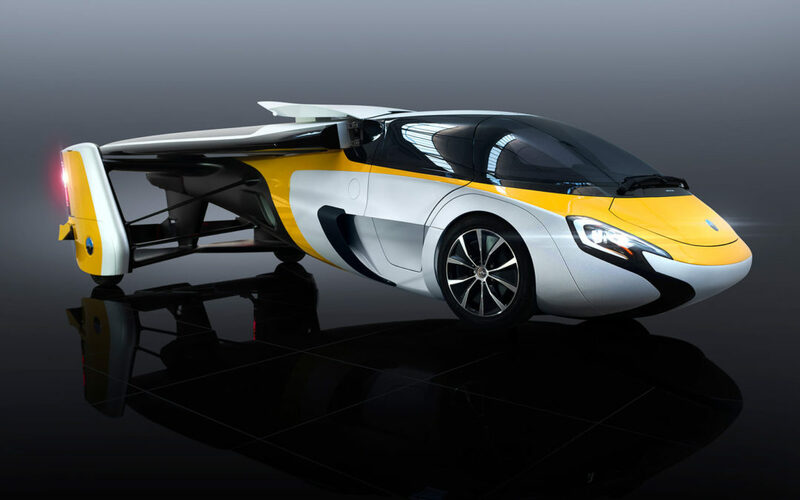 The company announced that the new funding would support the production and development of the flying cars. They would be considering selling these cars in Europe and in the U.S. because the existing aircraft regulations in both continents are very similar. Here in Yemen, 33.9 percent of the population lives in urban areas, and the means of transportation are limited. This innovation will surely benefit the country in the future. As of now, Yemen has paved roads and an intercity bus system which, is the common mode of transportation. This innovation will be a game changer 20 years from now, not only for the oil and gas industry but also for Yemenis who take public transportation. Yemen doesn’t have any railways, despite proposals. Surely, flying cars and buses would lighten the burden of going from one place to another. This innovation will change the landscape of transportation moving forward.